I’ll leave the debate to others about running services on routers. As usual ymmv and all that, though besides the obvious objections I think it’s quite cool of my little c877 to proxy DNS and serve what it has locally. Imho, my home DNS config is not heavy enough to warrant rigging up DNS on my Samba server. My first google tonight led me to an article on the excellent ios hints and tricks site (ioshints.info). Though this is for a full public DNS server it was a little overkill for me, please read this article as well if you do plan to go that route. My goal was to have my DSL router serve local IP’s for a few public and local domain names. For example this allows me to use sip.djerk.nl as my proxy address in my soft-phone both at home and away. The following code is what I ended up with. Had a nice piece of homework cut out with getting site-to-site ipsec working between a relatives Netgear and my Cisco 877. UniverCD once again provided to be crucial in my understanding and working out what should go where. Thanks to Ilya for reminding me to browse that site rather than just search it. It appears that Debian Lenny by default only binds to 127.0.0.1 (localhost). I had to add the following two lines to snmpd.conf to get snmpd to listen to external requests. I eventually found the solution at debianhelp.org. Last weeks news: Networkers EMEA 2008 will be in Barcelona. For the diary: Monday Jan 21st – Thursday 24th. Just a quick note to say that I’m going to Networkers2007. If you’re going as well and want to meet me then drop me a line, with a suggestion of when you’re free. I don’t think I’ll be able to intentionally run into anyone there, my schedule is way too busy for that. Suggestions for surviving Networkers are welcome as I’ve never been before. Got some pictures of Ixia and Spirent equipment in the lab, so check out the gallery if you’re interested. Right, it’s loading and due to the baud rate of 115200 currently at 13% so I’ve got some time to write this little “note to self”. If anyone else finds this useful then I hope you’re not working away like me at 0:48 in the night. Anyone ever heard of ‘Strict Source Routing’ or ‘Loose Source Routing’? 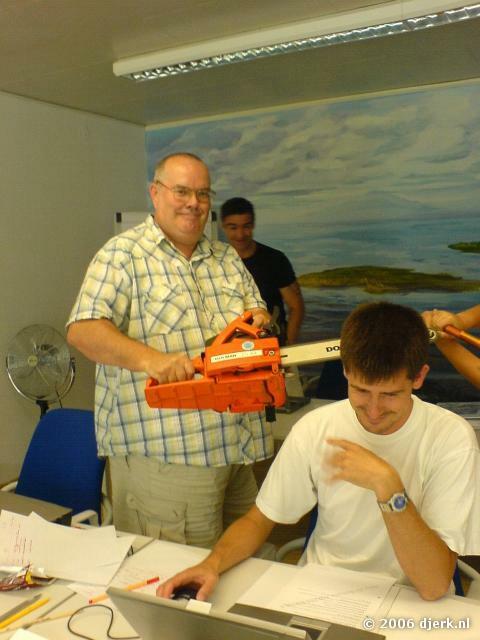 Some people have affectionately referred to the -IETF Differentiated Services- working group as “200 bald men fighting over 6 combs”. It’s funny to see the history as she’s describing the future in her book which shows how fast it’s dated. She wrote “Interconnections” in 2000 but it’s still a great book explaining fundamental issues in a comprehensive manner, my print is a 7th edition from March 2005. Definetely a book to use as network protocol reference due to the many explanations as to why things are the way they are. Priority is an attempt to implement the principles of jealousy and envy in computer networks.